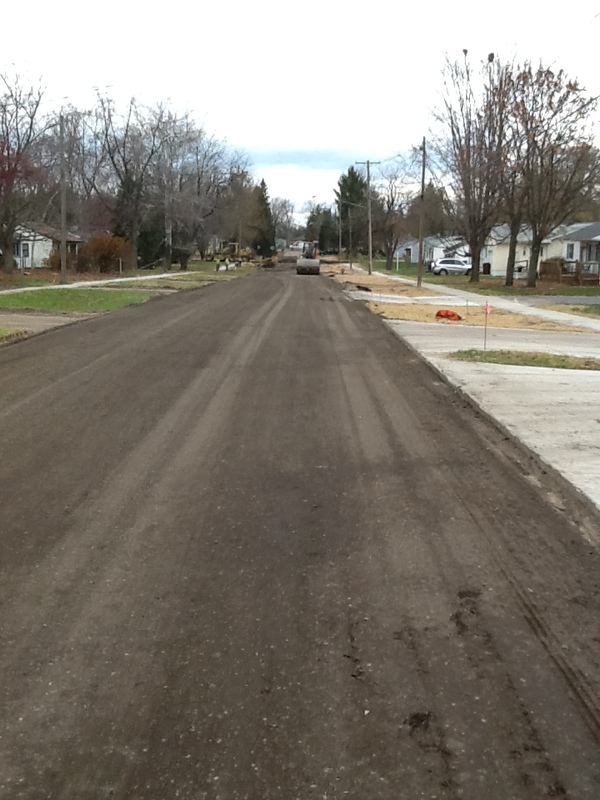 The contractor will continue to grade Adelpha Avenue to prepare for paving. The contractor will be paving asphalt throughout the project site as weather allows. Rain and severe cold weather will inhibit paving. The restoration crew will be working along Kathy Kourt and Adelpha Avenue placing topsoil and shaping infiltration swales and restoring the rear lot area behind Phillips Avenue. During the second half of the week, the contractor will be seeding swales along Adelpha Avenue, placing the gravel shoulders along Dean, Auburn, and Richard, and cleaning up topsoil along driveway approaches and the gravel shoulders. The contractor will also be installing concrete ADA ramps for the sidewalks along Richard at Dean and Auburn Avenues and other miscellaneous concrete at other locations around the project site. Lastly, gravel drives along Dean, Auburn, and Richard will be restored. 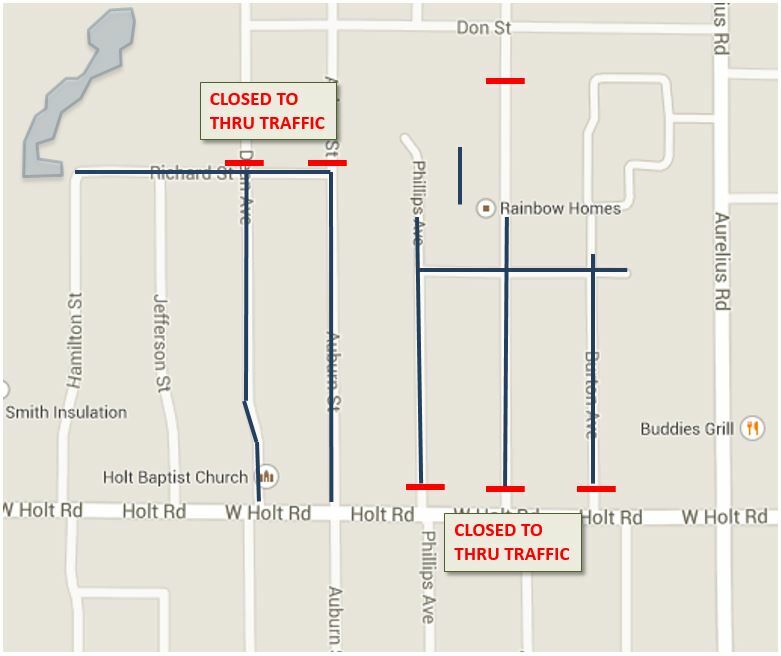 Dean and Auburn Avenues will remain closed to thru traffic from Richard Street to Holt Road and Phillips, Adelpha, and Burton Avenues will be closed to thru traffic from Kathy Kourt as the contractor performs pipe installation, pavement pulverizing, and completes restoration work. We appreciate the public’s patience as you avoid this construction zone.